The Cook Islands is a self-governing islands state some 3300 kilometres north-east of New Zealand. It is part of New Zealand, with Wellington dealing with foreign affairs and defence matters, and its citizens are Kiwis. It is situated between American Samoa and French Polynesia and while its total landmass is only 240 square kilometres, its maritime exclusive zone covers more than 1.8 million sq km of ocean. 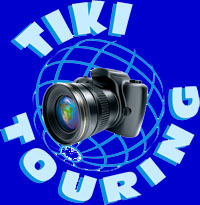 There are 15 islands in the nation of the Cook Islands, the largest of which is Rarotonga. They are divided into the northern and southern groups. In the north are Manihiki, Penrhyn, Nassau, Rakahanga, Pukapuka and Suwarrow, while the southern group are Aitutaki, Atiu, Raratonga, Manuae, Mangaia, Mauke, Mitiaro, Palmerston and Takutea. The climate of Cook Islands is temperate to tropical with the average temperature ranging from 22C to 26C. In the dry season from June to October rainfall is between 108mm and 109mm a month, and that rises to 221mm to 261mm from December through to March. There are about 14,000 Cook Islanders living in their home islands, some 10,000 on Rarotonga, and about 130,000 Cookies, as they call themselves, living in Australia and New Zealand. Most Cook Islanders speak very good English and their local language is Cook Islands Maori. You cannot buy land in Rarotonga, you may only lease it. The leases commonly run for 60 years with no guaranteed right of renewal. 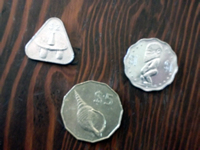 The main currency of the Cook Islands is the New Zealand dollar, although there are local coins of up to $5 value.